2013. Pinata Books (Arte Publico Press). This bilingual picture book tells the story of young Estela who didn’t get to spend much time with her mother because of her busy work schedule. 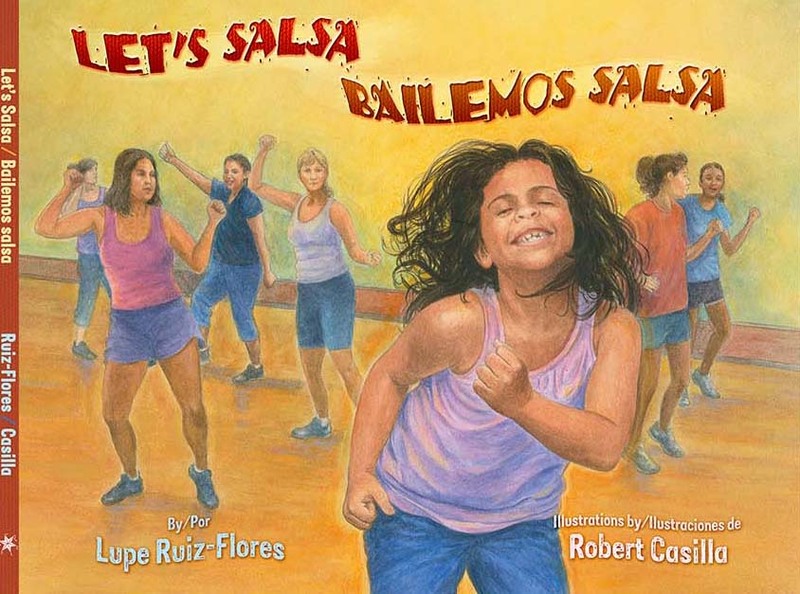 After convincing her to try local salsa dance classes at the community center to gain energy and lose weight, they enjoyed dancing and spending time together. When a sign banning all children from participating in the classes was posted one day, Estela was highly upset. After learning in school about petitions and how they helped move forward the issue of women’s voting, Estela decided to organize a community petition drive of her own. After collecting enough signatures the Mayor approved her request, and a salsa class was established for children. Now Estela, her friends, her mom, and the entire community can lose weight and stay in shape while having fun dancing salsa. Casilla’s realistic drawings of young Estela, including the full-of-life one on the cover, mesh wonderfully with Ruiz-Flores’ words. Estela’s story may inspire readers to undertake some community action of their own.